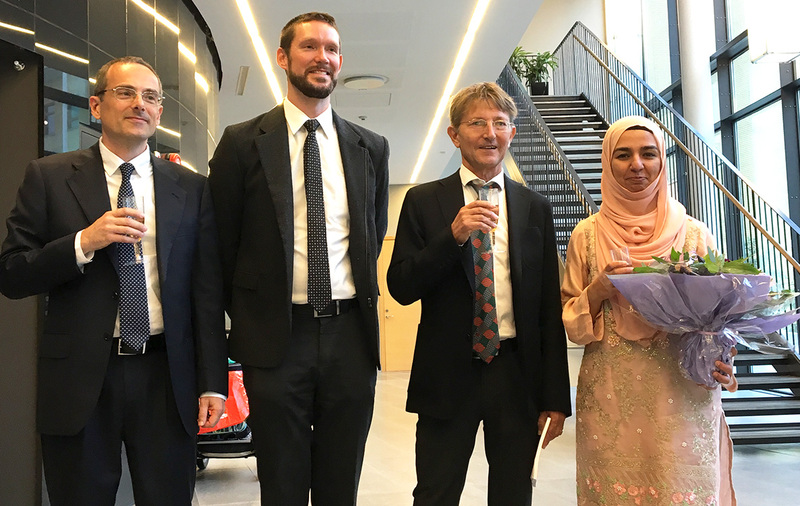 On 14 September 2018 the MedTech West researcher Bushra Riaz presented her doctoral thesis with the title “Bringing MEG towards clinical applications” at the University of Gothenburg. Opponent (to the left) was Professor Vittorio Pizzella, from the Department of Neuroscience, Imaging and Clinical Sciences, University “G. d’Annunzio” of Chieti-Pescara, Chieti, Italy. Also in the image: supervisor Justin Schneiderman and co-supervisor: Professor Mikael Elam.